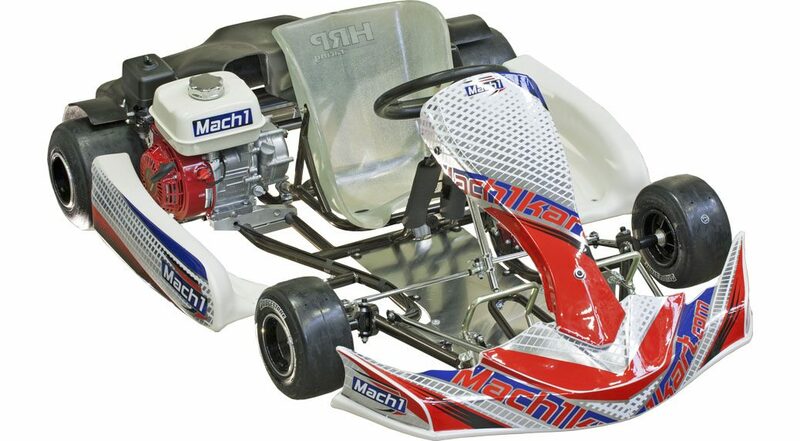 Mach1 slalom racing karts are exclusively developed for slalom sports. The kart can be set up within seconds to different drivers with the easy to operate seat position adjustment and the optional pedal reduction. The design of the chassis is adapted to our actual racing karts and gives “real” racing feeling without waiving the special requirements of slalom racing. It is easy to drive and — thanks to a stable basic setup — it is set up to different conditions even without a deeper knowledge to karting. Reliability and safety are key features for Mach1, therefore we equipped the karts with strong double pedals (only JKS1), integrated steering angle limiter and stylish rear axle protection. The Mach1 HRP brake system is low maintenance and fulfills the highest requirements in karting.